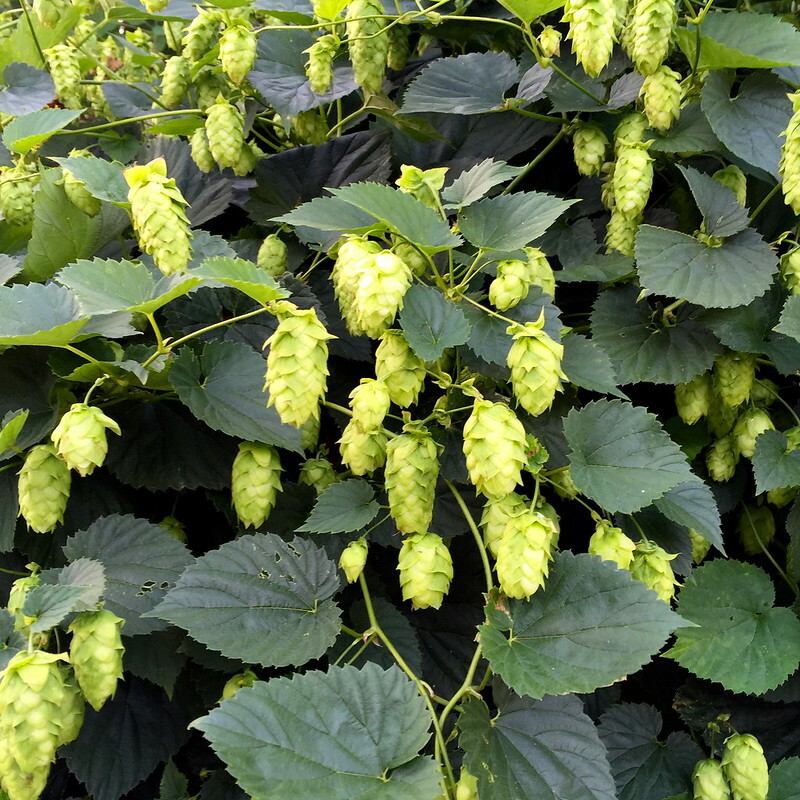 During a summery stroll through Kittery at twilight, we came upon the hops vine that grows vigorously in the middle of Foreside, now heavily laden with piney blossoms. Though we’re more familiar with their use in flavoring beer, other parts of this perennial herb are also edible — especially the young shoots but also leaves, harvested while at their tenderest in spring. For the moment, I’m imagining the blossoms taken singly and deep fried, battered or not. 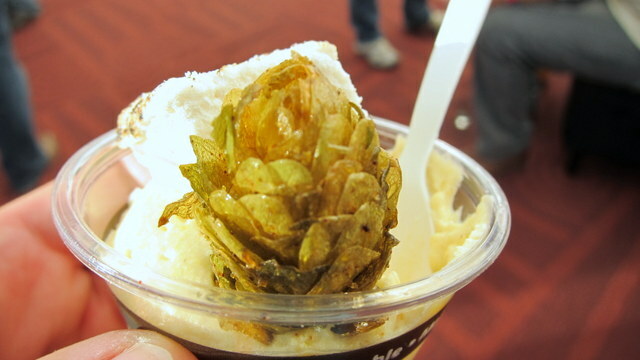 This entry was posted in cooking and tagged blossoms, flowers, hops. Bookmark the permalink.